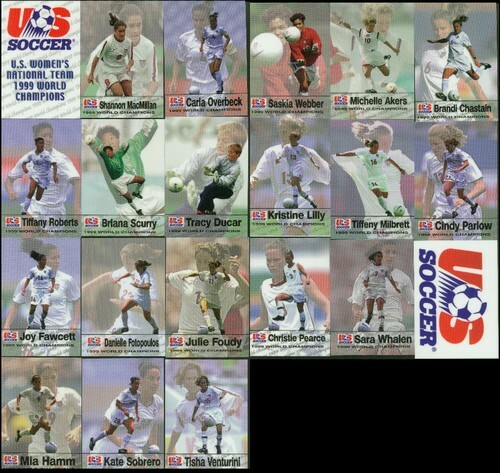 Officially licensed complete 21-card set of the US National Soccer Team that won the Gold in the 1999 Women's World Cup of Football (Soccer). Includes 19 player cards plus a checklist card and a header card. 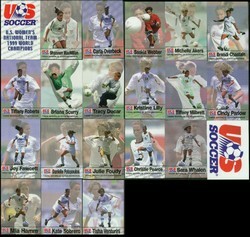 Has cards of all the players except Lorrie Fair who could not appear as she would lose her college eligibility. Very Limited Production from Roox Sports!! !